This book is the first systematic study of the relations between German high society and the Nazis. It uses unpublished archival material, private diaries and diplomatic documents to take us into the hidden areas of power where privileges, tax breaks, and stolen property were exchanged. Fabrice D'Almeida begins by examining high society in the Weimar period, dominated by the old imperial aristocracy and a new republican aristocracy of government officials and wealthy businessmen. It was in this group that Hitler made his social debut in the early 1920s through the mediation of conservative friends and artists, including the family of the composer Richard Wagner. By the end of the 1920s, he enjoyed wide support among socialites, who played a significant role in his access to power in 1933. Their adherence to the Nazi regime, and the favors they received in return, continued and even grew until defeat loomed on the horizon. D'Almeida shows how members of German high society sought to outdo each other in showing zealous support for Hitler, how the old elites starting with the Kaiser's sons partied alongside parvenus, and how actors, aristocrats, SS technocrats, and diplomats came together to form a strange imperial court. Women also played a role in this theatre of power; they were persuaded that they had gained in dignity what they had lost in civil rights. There emerges a fascinating and disturbing picture of a group that allowed nothing - not war, the plundering of Europe, nor the extermination of peoples - to alter their cynical enjoyment of pleasures: hunting, regattas, the opera, balls, dinners and tennis. More than a study of a class or a chronicle, this book lifts the veil that has concealed a society that used secrecy to protect itself. 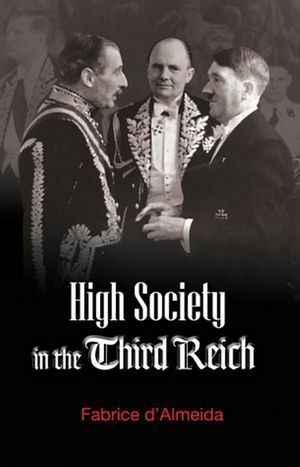 High Society in the Third Reich makes an important and unique contribution to the current reevaluation of the extent to which German society, including German high society, was responsible for Hitler's accession to power and the crimes that were committed by his regime. Fabrice D'Almeida is Lecturer in History at the University of Paris X-Nanterre. Chapter One - The Birth of Nazi High Society. Chapter Two – The Great Pleasures and Small Benefits of Nazi High Society. Chapter Three – Managing Hitler’s Court. Chapter Four – The Destruction of Jewish High Society. Chapter Five – Was there a Nazi Luxury?. Chapter Six – Sociabilities in a Totalitarian State. Chapter Seven – The Splendours of Diplomacy. Chapter Eight – The Second Worldly War. 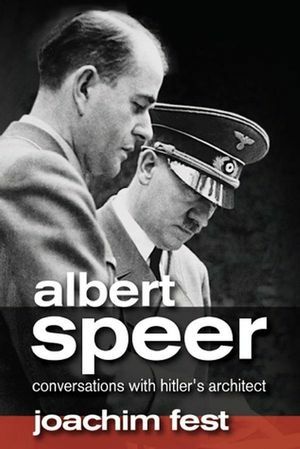 "From the very beginning, as Fabrice D'Almeida shows in his fascinating study, Hitler networked with considerable success among the great and the good ... The best chapters fizz with arresting insights and brilliant observations, many of them generated by the clever idea of studying the upper echelons of the regime as an anthropological system." "The almost Faustian bargain between the German elite and the Nazi regime is laid bare in this original and comprehensive study. Fabrice D'Almeida's fascinating and engaging work will be valued by academic and general readers alike." "The way Hitler presided over a state where power was divided between big business, the chiefs of staff, the Nazi Party, the SS and other components of the Third Reich is fascinating." The first book which provides a comprehensive account of the relation between Hitler and the Nazi movement, on the one hand, and the social and economic elites in Germany, on the other. The author draws on new archival material to paint a detailed picture of the life of the upper classes in Germany in the 1930s and 40s and their involvement with Hitler and the Nazis. The author is an outstanding historian and is Director of the Institute of Contemporary History in Paris. This book will appeal to academics and general readers alike as an original and significant contribution to our further understanding of the Third Reich.